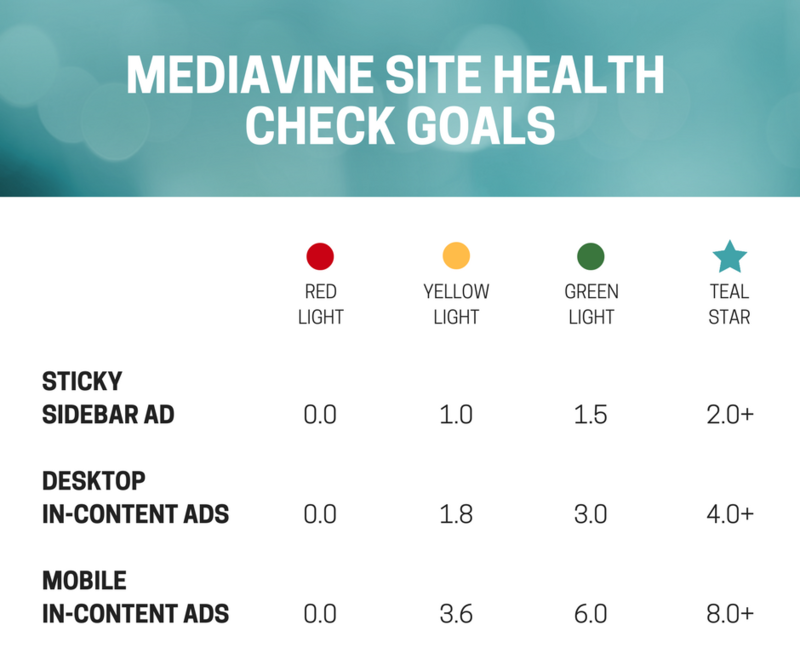 Keep an eye on your ads' performance with the Site Health Check widget in your Mediavine dashboard. At Mediavine, we aim to give you the tools you need to make the most of your ads. One of these is your Site Health Check widget in your dashboard. The site health widget is focused on the last three days of data. Three green lights is a wonderful sign that your ads and your placements are functioning well. A teal star is a sign you are ads are doing extremely well. How do I get to green? And teal?! MAKE SURE YOU ARE TESTING YOUR ADS IN AN INCOGNITO WINDOW, AND APPENDING ?test=houseads TO THE END OF THE URL. Making small changes to the way your content is formatted and your site is laid out can lead to HUGE increases in revenue.